The Mens Crew Neck shirt allows technology to meet style. The shirts allow players to stay relaxed and win points at critical times in the match, alllowing you to think about winning rather than how hot they feel. 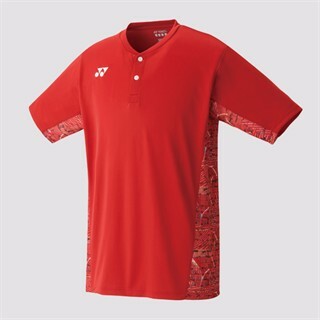 The new yonex shirt dries sweat quickly and helps to lower body temperature to keep players comfortbale during play. Material; 100% Polyester Available in Sunset Red, Infinite Blue, White and Black. Also available in ladies and Juniors allowing partnerships to match. Do you own the Mens Crew Neck Shirt 10232 Sunset Red?